Cassie Baalke, daughter of general manager Trent Baalke, called for offensive coordinator Greg Roman’s ouster before quickly deleting her Twitter post and later closing the account altogether. Just when the 49ers had some nice momentum as they approached the season’s final month, it all went away in a matter of four hours in a 19-3 loss to the Seahawks on Thursday night at Levi’s Stadium. San Francisco’s playoff hopes dwindled in the process. Any day-after thoughts would have to wait. Harbaugh isn’t scheduled to address the media again until Monday, with players likely on Tuesday as is the team’s regular schedule. That’s a long few days for team executives, coaches, players and fans to figure out what went so wrong. The post from Cassie Baalke’s Twitter account read: “Greg Roman can take a hike..the 49ers don’t want you no more.” After her words, were a pair of icons of hands clapping. Harbaugh is not immune to the constant chatter about his future, though he has been steadfast in staying the course of winning each week — a “one-game season” mantra recently started by Boldin — though this could get ugly in a hurry if the 49ers can’t clean things up. In their next game Dec. 7, they will make the short trip to Oakland to face a Raiders team that heads into Sunday’s game at St. Louis with a 1-10 record. While the timing of York’s public Twitter apology was strange, nobody in the losing locker room could really argue with him. Harbaugh wouldn’t specifically address the remarks. That’s a daunting task. After the game in Oakland, San Francisco must get on a plane the next week and go to Seattle for what will be another wild matchup Dec. 14 between two teams that have come to truly dislike each other. 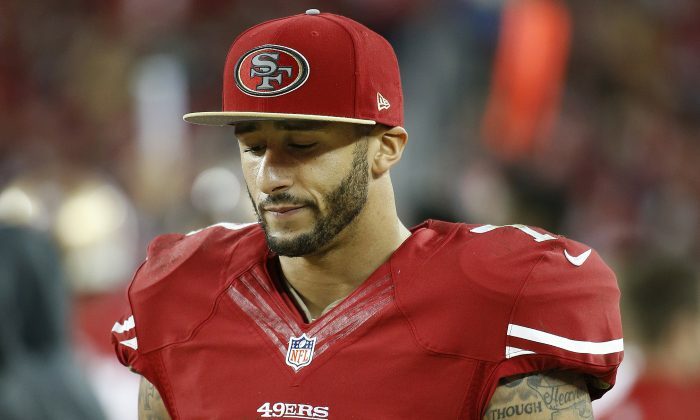 It’s hard to see this 49ers team reaching the playoffs the way things are spiraling. This group began the season thinking Super Bowl championship or bust following three straight trips to the NFC title game and a runner-up Super Bowl ending after the 2012 season. After Sherman’s two-interception night, the star cornerback took a couple of parting shots. He noticed the thousands of fans leaving early from this debacle. “Yeah, I waved them goodbye,” he said. San Francisco’s players will get back to work early next week.